There is nothing like a homemade salt scrub to make your skin feel silky and oh so nourished. You can make a homemade facial salt scrub or you can make more of it and use it on your entire body. Regardless the homemade sea salt scrub recipe I am going to share can be reduced or increased in quantity. I have bought pretty little jars and made a big batch and split it up as it makes a great gift! All salts are not created equal! You may have noticed that the title of this article says Himalayan Sea Salt Scrub. There is a reason for that. Table salt is too coarse and actually leaves tiny cuts on the skin. It’s simply to abrasive. Your regular sea salt that you buy at the grocery has been processed as well. It also actually can dehydrate you where as Himalayan sea salt actually hydrates your skin tissues. Himalayan Salt has 84 trace minerals and is completely natural. It has not been exposed to any additives or pollutants. This untreated salt is of a high crystalline structure which means it’s healthy minerals can be absorbed by the skin on a cellular level. To sum it up, a sea salt scrub made with Himalayan salt is pure. 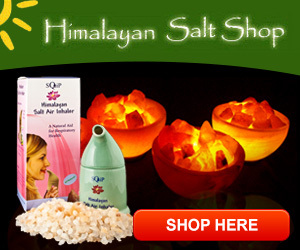 Himalayan salt is the purest salt on earth. About any type of organic oils will do. You can use grape seed oil, olive oil, almond oil or jojoba oil. My favorite is coconut oil. Click here to find out why all coconut oil is not created equal. Coconut oil however is not the easiest to use because it tends to change consistency with the rise and fall of temperatures. I have set it on my stove while I was cooking in the winter months and this made it easier to work with. In warmer climate, this won’t be an issue. Also note that if it hardens after you make your homemade sea salt scrub, it’s not really a problem because the warmth of your skin melts is away. About 10 drops of essential oil of your choice (optional) You can get fine essential oils here! Just mix all ingredients together in a bowl, message onto skin and rinse with cool water. You will immediately feel the difference in your skin. If you use this homemade sea salt scrub recipe about two to three times a week, you will see a major improvement in your skin’s appearance and elasticity. Enjoy! 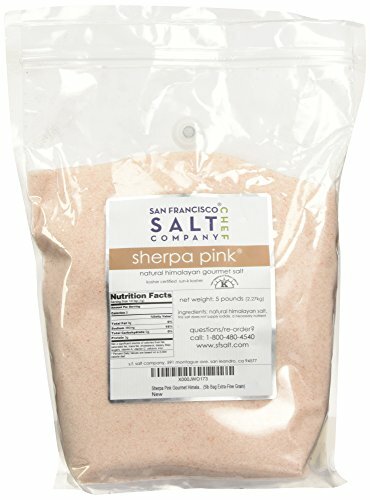 You can find this fine Himalayan salt at the Himalayan Salt Shop under the bath salts tab. Please make sure you order it in a fine grade. This is great! I am always looking for natural scrub and this sea salt scrub is perfect! This is a great recipe for a healthy salt scrub! We are a professional affiliate marketing site that receives compensation from the companies whose products we recommend. We use the same products we are recommending to you so you can be sure you are getting our honest feedback. We are independently owned and the opinions expressed here are our own. Himalayan Sea Salt and Honey – Magic Bed Time Tonic! Make Gravlax Salmon with Himalayan Salt Blocks on Present Cold Food on a Salt Block!